Game developer Valve Software has announced plans to bring its Steam online store and several of its popular games—such as Half Life 2, Portal, and Left 4 Dead—to the Mac platform next month. But the Mac is a totally new platform for Valve, so it’s only logical that the company’s gone ahead and posted an application for would-be Mac-based beta testers. The survey asks a number of prying questions about your gaming habits, including how many Intel-based Macs you own and of what model, how many people use your Mac, and how many Mac games you’ve bought over the last year. 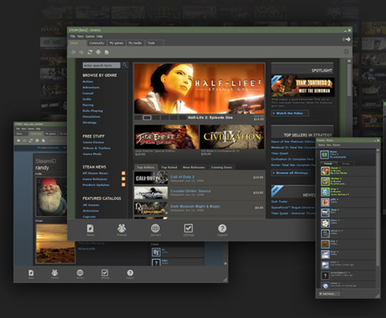 As if that weren’t enough, Valve is also interested in your consumption of PC and console games, as well as your use of Mac software for running Windows, like Parallels Desktop, VMware Fusion, Crossover Games, and Apple’s own Boot Camp. Finally, you’ll also have to upload a condensed version of your Mac’s System Profiler info, following specific instructions provided by Valve. Presumably, this helps Valve not only determine if your machine is a viable candidate, but also gives them the opportunity to find a wide variety of Macs and configurations for testing their software. You’ll need a free Steam account before you throw your hat in the ring. There’s no timeframe for when Valve will contact beta testers, but since Steam is expected to arrive in April, one would presume the day is not far off.